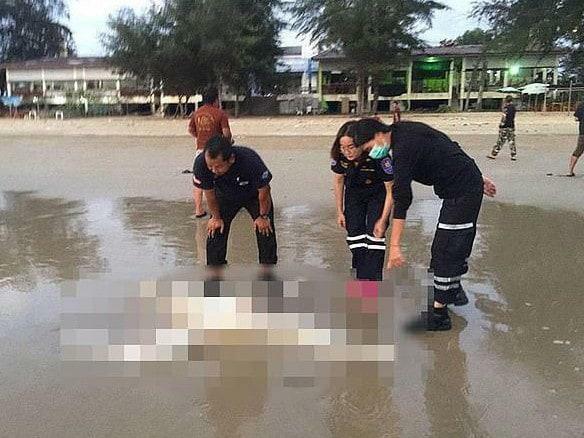 Two headless bodies and a woman’s head have washed up on a popular tourist beach in Thailand. One of the naked bodies, a man’s, was discovered with cut wounds to the neck, reports claim. 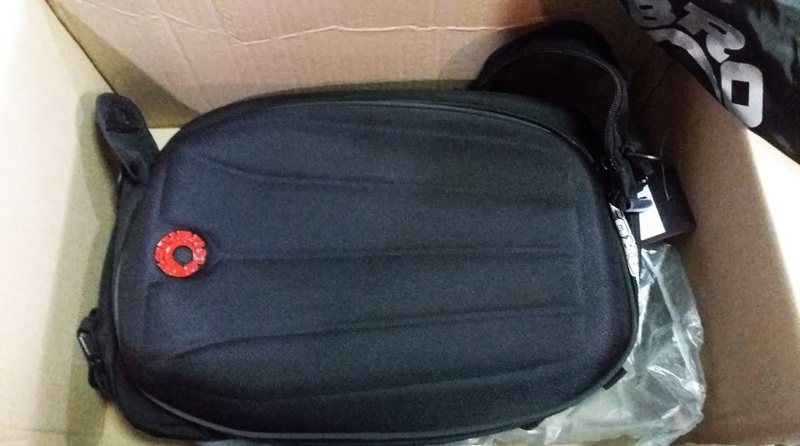 Cops believe he died a week before being found washed up in Mae Ramphueng Beach at Rayong - close to Pattaya on Thailand’s eastern Gulf coast, The Sunreported. He had three English tattoos on his wrist but the skin had been peeled back due to significant decay from the water - making it difficult to identify him. The second male body was discovered 10km away at PMY Beach in Rayong wearing just underwear. It is understood he died at least ten days before the grisly discovery was made, The Thaiger reported. South Samrong police chief Pol Col Prasert Buakhao said fishermen also found the head of what they believe to be a woman in waters nearby. The head had long hair and is said to have been sitting in the water for a few days near a jetty in Phra Pradaeng, about 20km south of Bangkok. Thai cops believe the horror find is connected to the two naked bodies. Rayong is just two hours from Bangkok and is a popular tourist destination for young backpackers thanks to its secluded beaches. Mae Ramphueng Beach is one of the most popular attractions in the province. Blimey, a case for TDCSI me thinks. ..
a case for TDCSI me thinks. ..
Where did Lulu go 10 days ago for his "yoga" retreat? Immigration to grass you up for working illegally. Phra Pradaeng in Bangkok and Rayong? Connected? So wich body did her head belong? The answer my friend is blowing in the wind. The answer is blowing in the wind. These Irish have probably got a bomb planted too. Check your missus' knickers' drawer. Last edited by hallelujah; 11-02-2019 at 08:20 AM. I'm pleading innocent until more evidence has been submitted, and it was no way connected to being a Thai Visa moderator. Headless man found with "cut marks to the neck"..? Some Thai guys missus and her lover I reckon. Although Luigi was in both vicinties around that time on his holiday that was cut short and could have dropped the head off on his way back to Bangkok. The Bib speculate that violence may have been involved and do not exclude suicide. It is a bit suspicious, isn't it. A disagreement amongst the Irish drug mafia gone bad? Or an act of retribution from the Hat Yai outfit? Shhh. I could tell you, but then I'd have to kill you. (And for the deliberately pedantic, that's a joke line out of some B-grade movie). ^ Is there a hidden clue as to why they had to die? That's somehow connected to the likelihood of a headless corpse being found in the waters there in your 'aero-like' brain, presumably. Probably connected to the line in the report: "Rayong is just two hours from Bangkok and is a popular tourist destination for young backpackers thanks to its secluded beaches." Same beach where a huge haul of crystal meth washed up last year.. Connected? (Drummond's site covers this story also). Also, the bodies have washed up where anything tossed overboard from the very busy shipping route along that coast would wash up. Errrm, no. The connection, or incidental info, was made by the reporter. yes - quite shocking ... the article is very vague on whether it is locals or foreigners ..
No, it's floating in the sea. Two options: either upload from your com or enter an URL. Too difficult for you? A week in the water will mean they do not know at this point.